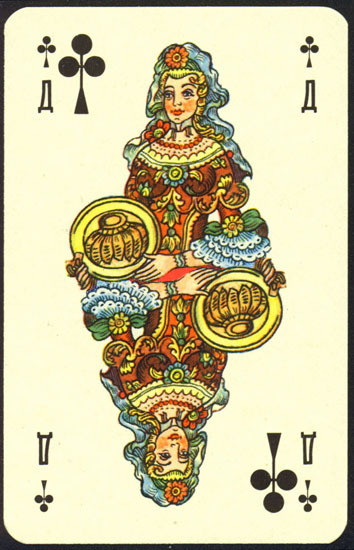 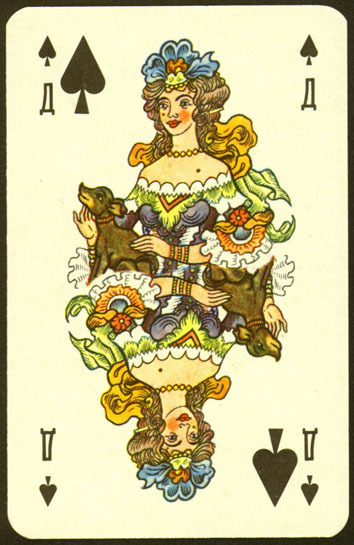 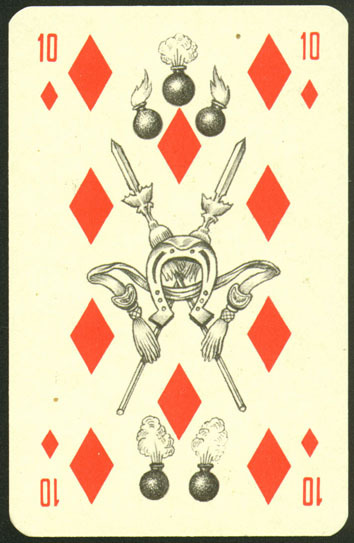 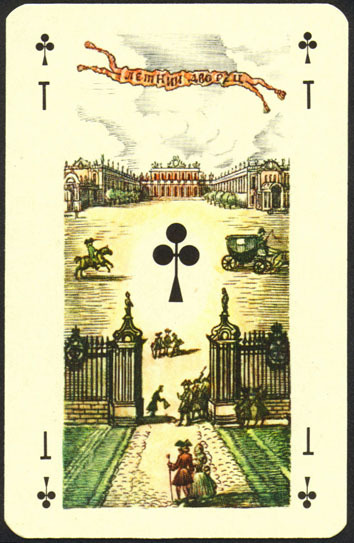 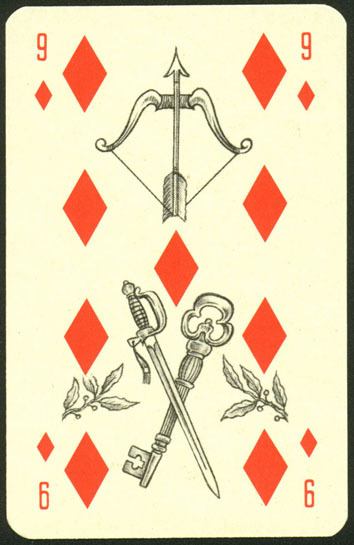 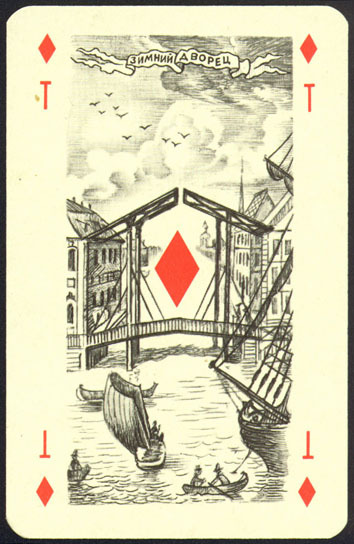 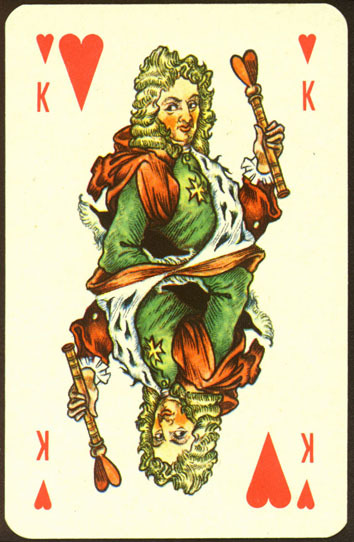 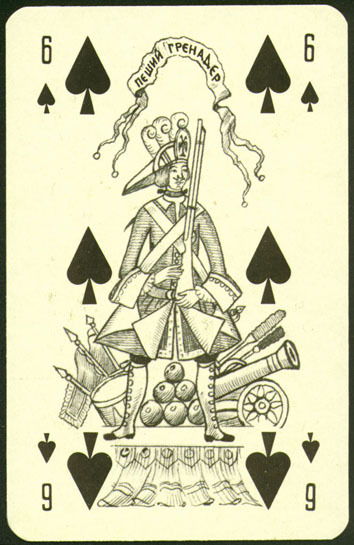 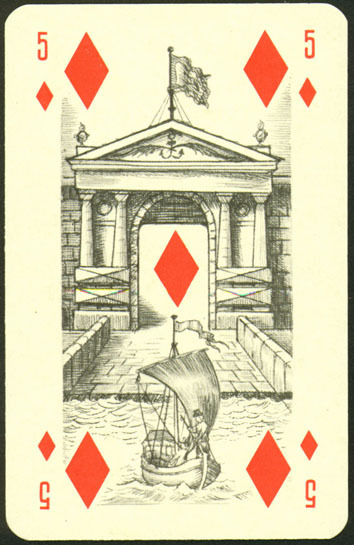 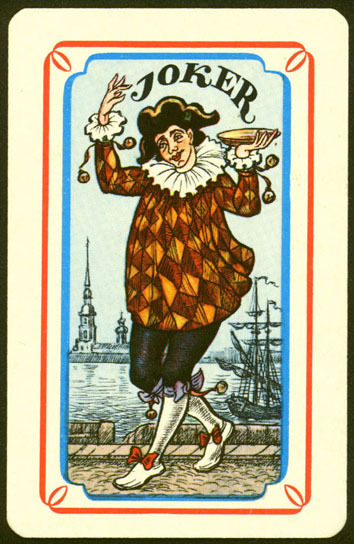 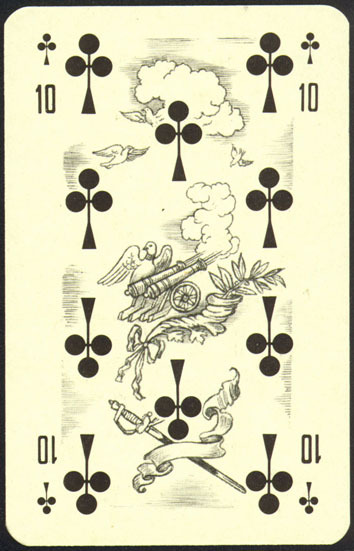 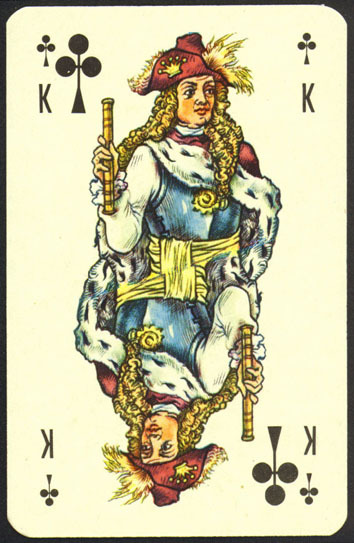 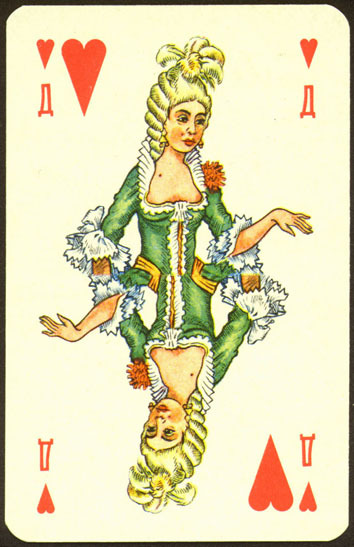 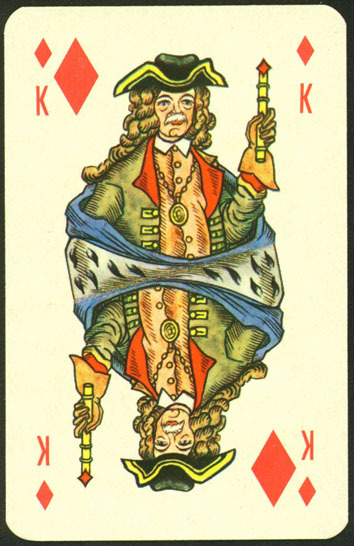 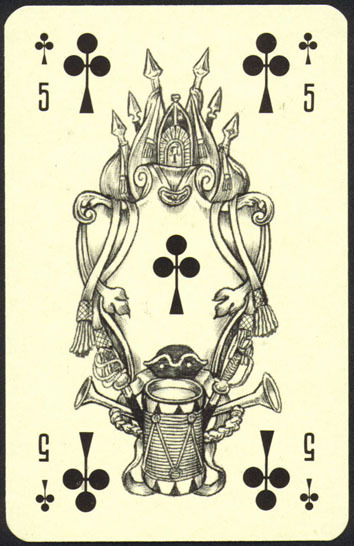 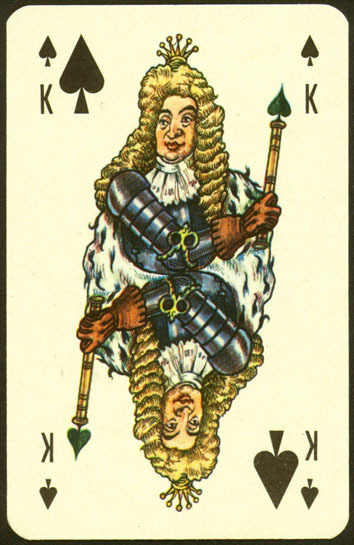 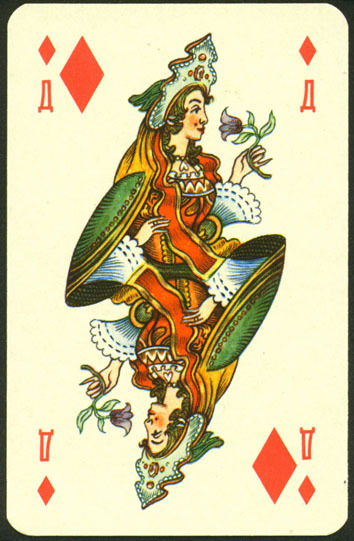 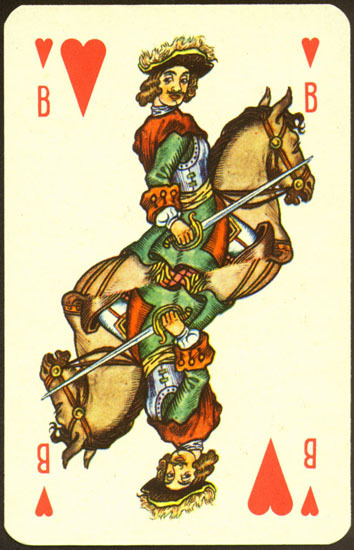 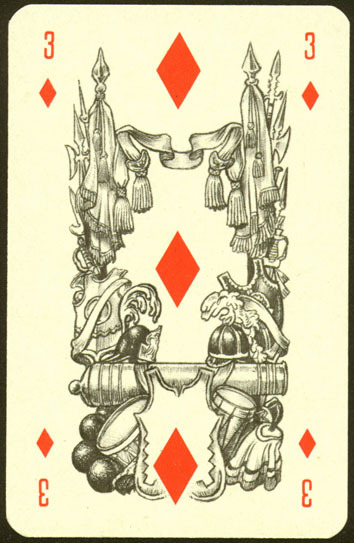 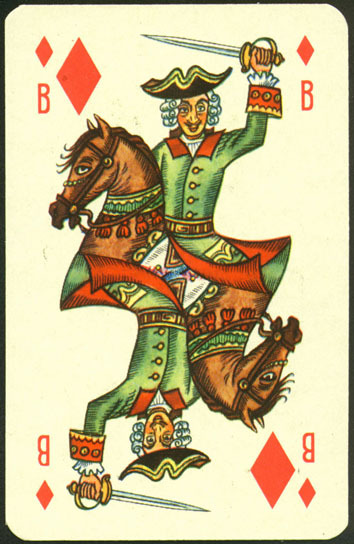 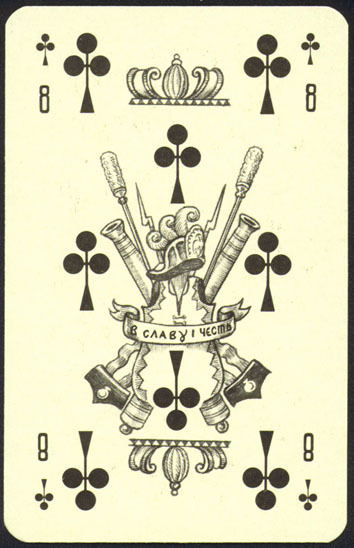 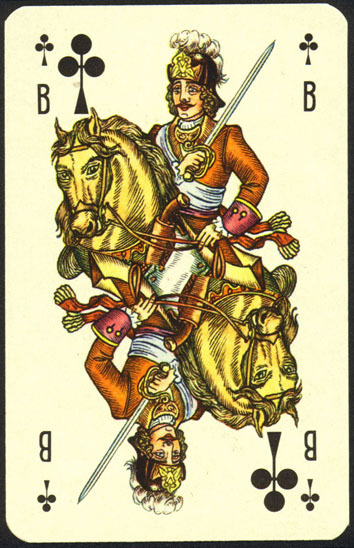 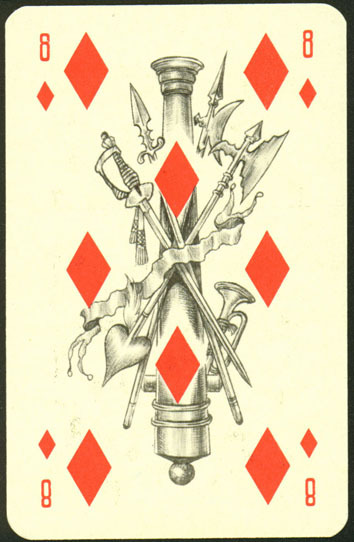 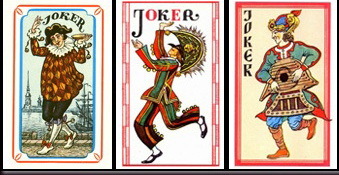 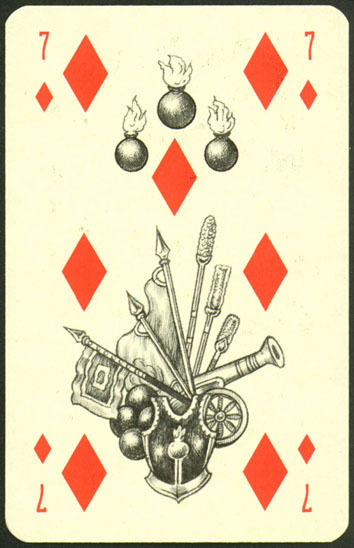 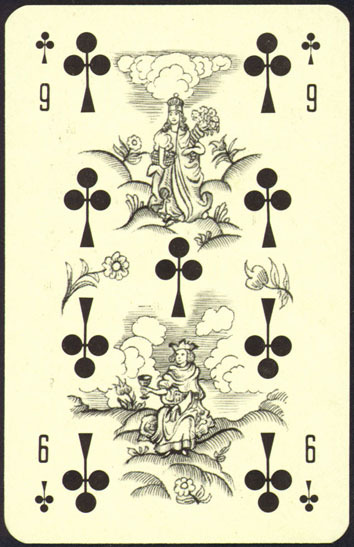 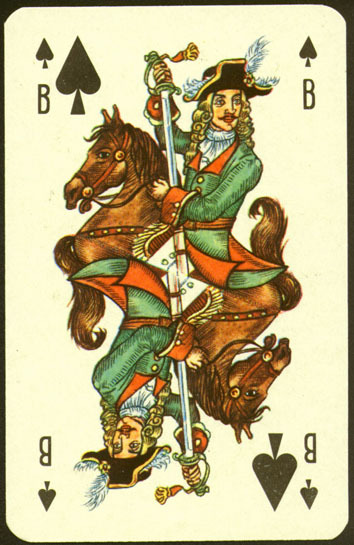 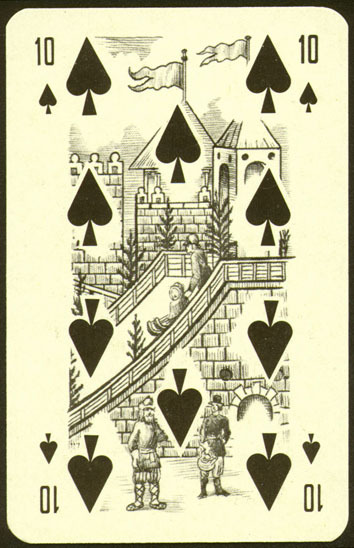 The artist created three variants of Jokers and backs. 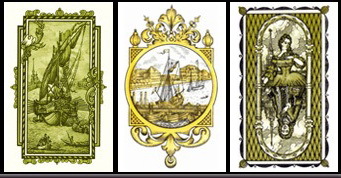 But only one variant was chosen and printed. 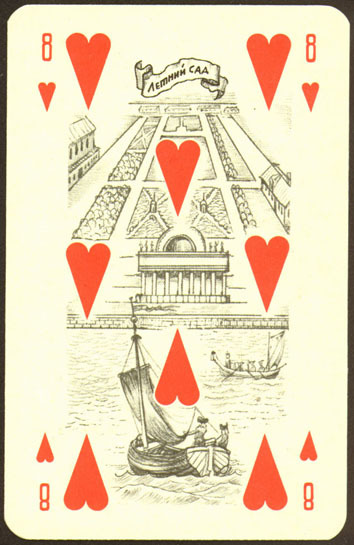 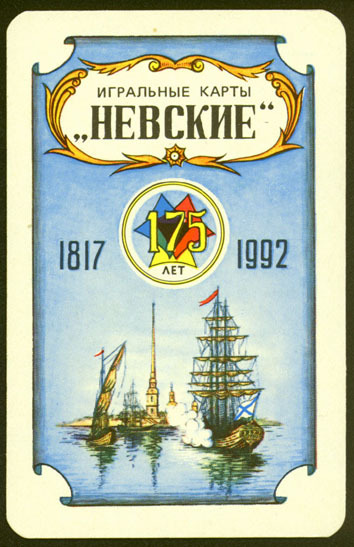 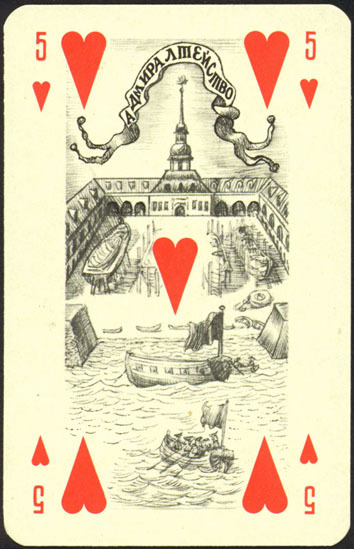 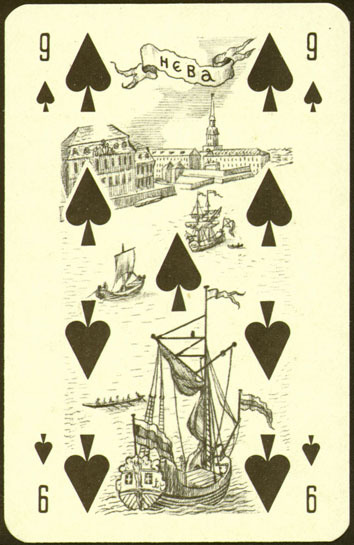 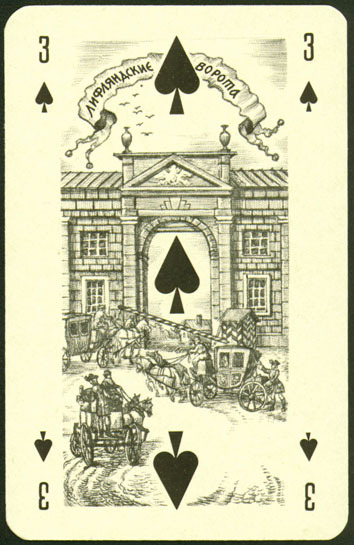 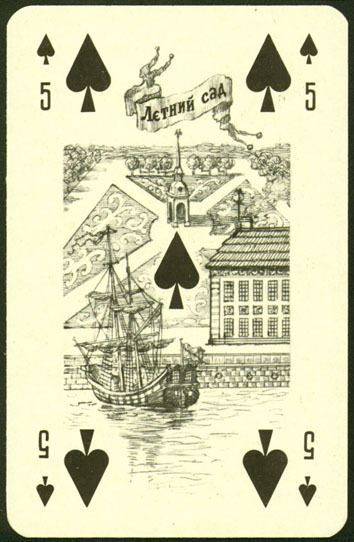 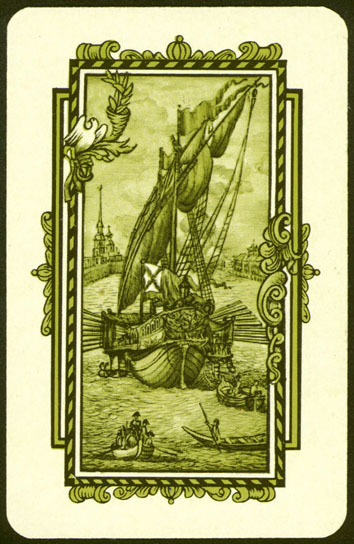 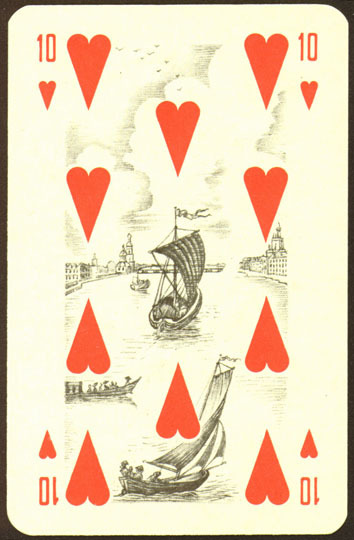 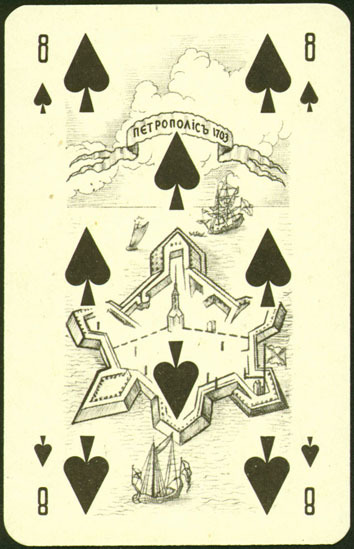 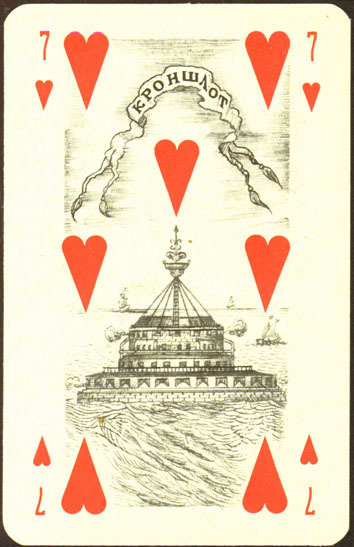 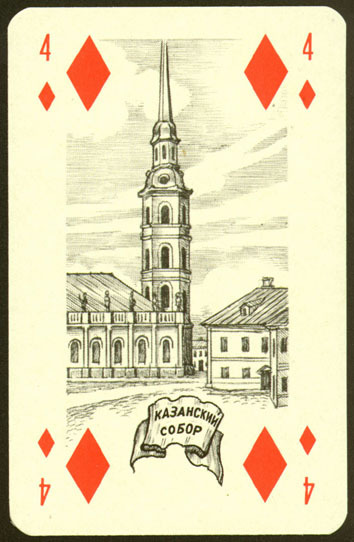 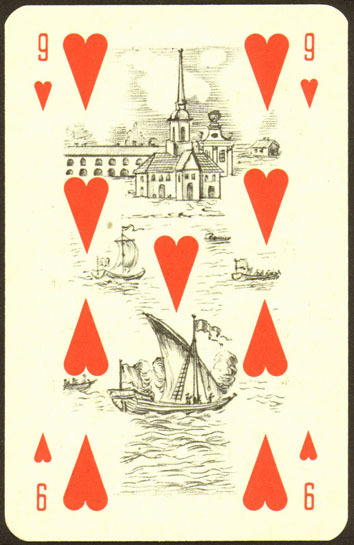 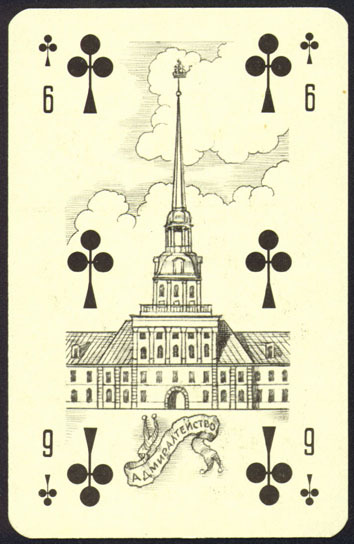 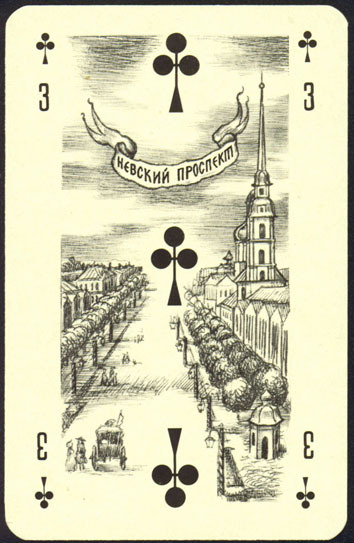 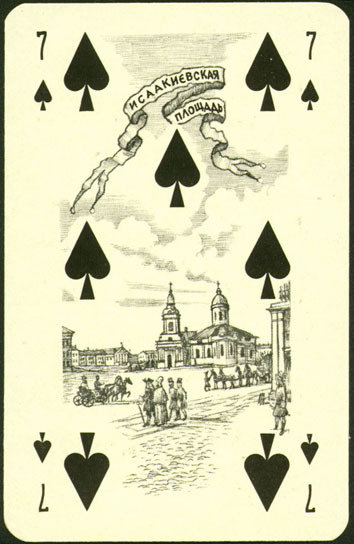 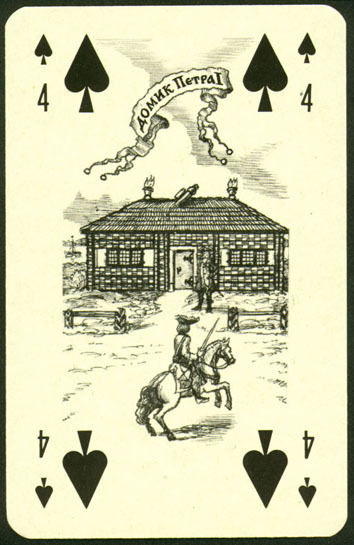 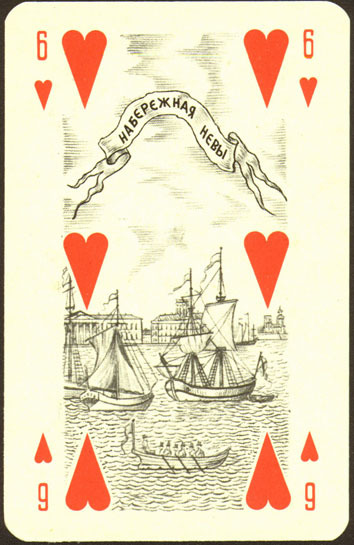 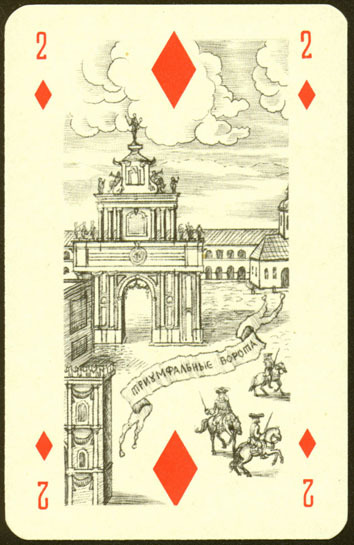 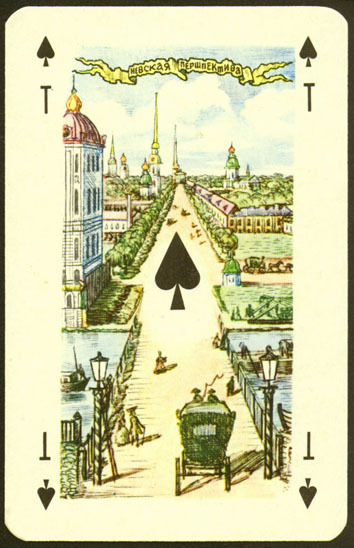 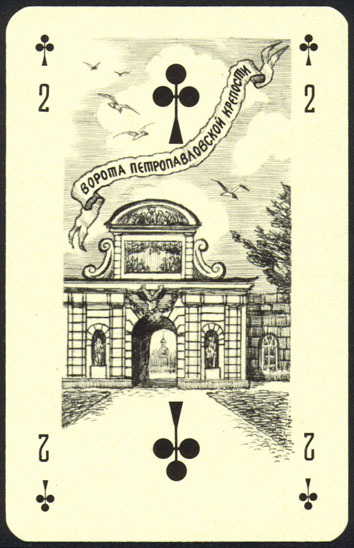 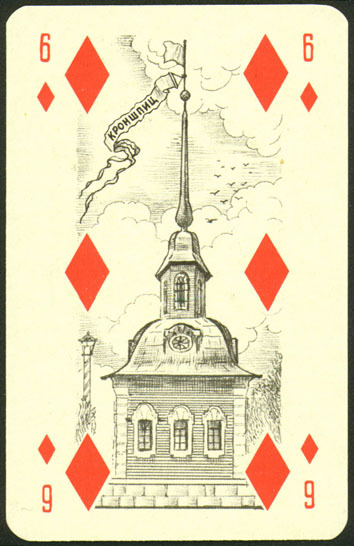 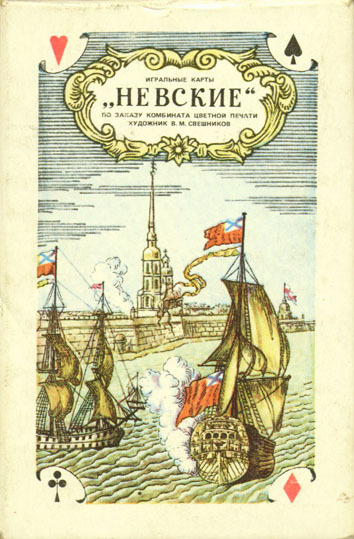 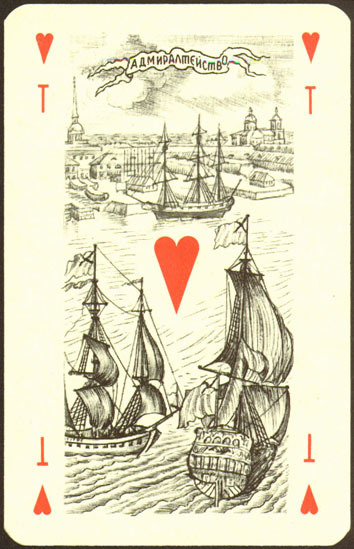 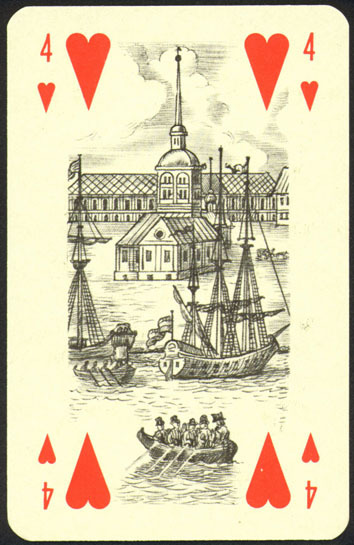 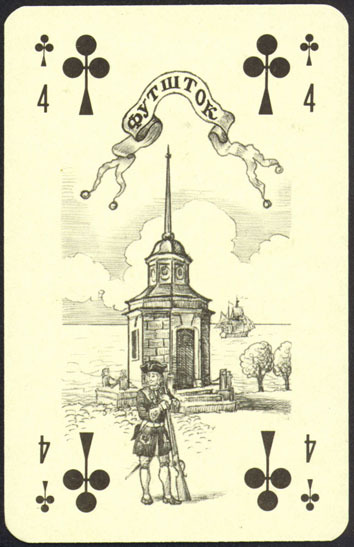 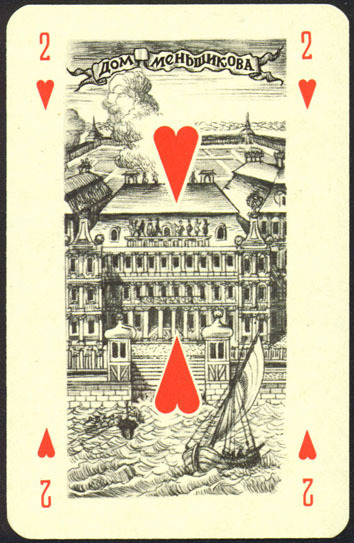 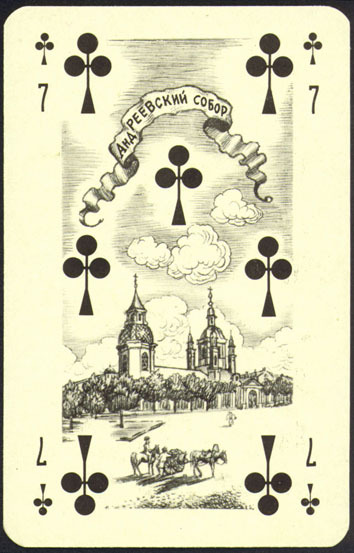 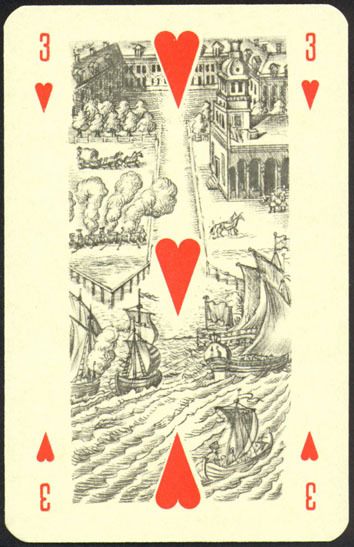 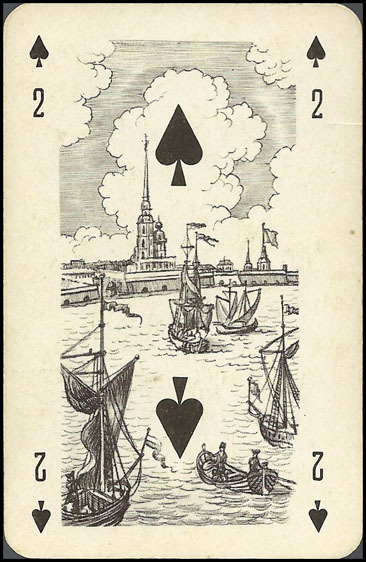 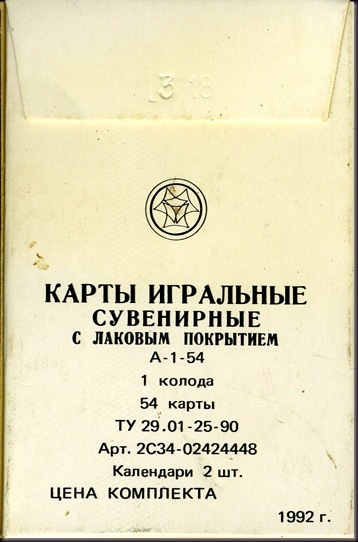 This blog thanks TwoWeekStubble and World Web Playing Card Museum from the bottom of its soft heart for initial pictures of these playing cards.